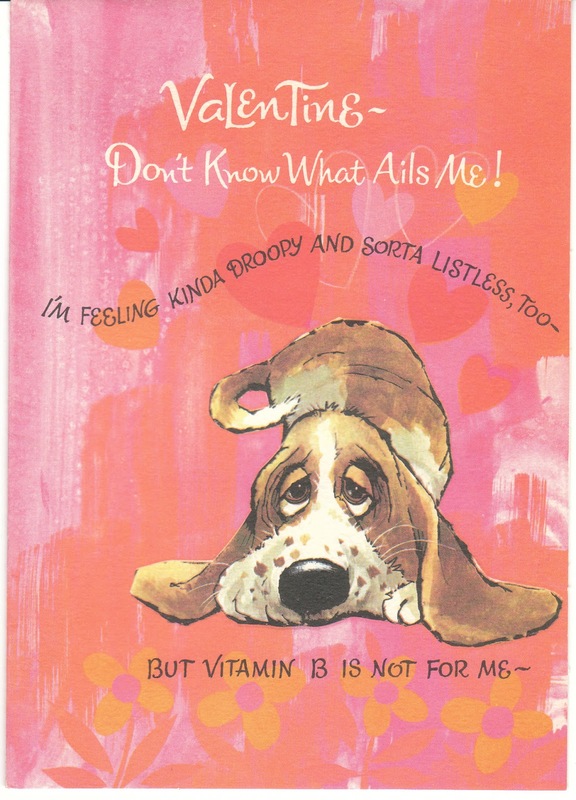 Valentines, Valentines, and more Valentines at my store this week! 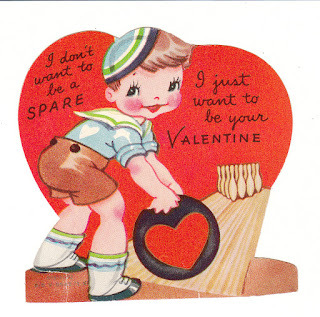 I am having lots of fun going through vintage cards to list. 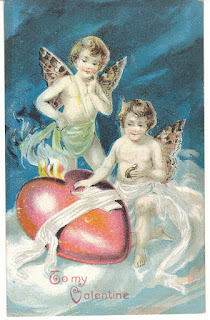 I will continue with the Valentine listings next week as well. 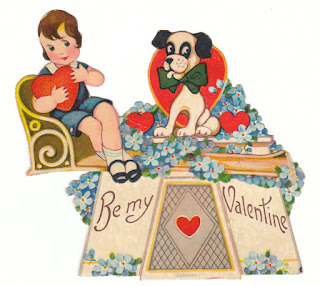 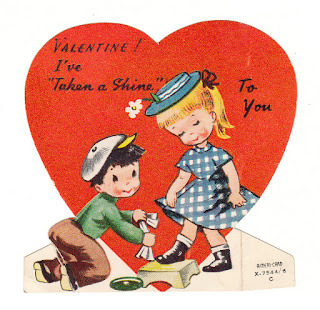 You will find all my Valentines -- as well as vintage children's books and more -- at Birdhouse Books. 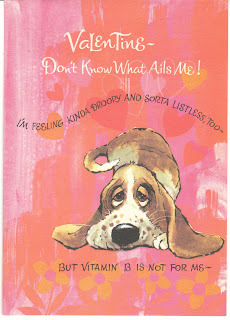 This groovy 1960's vintage Valentine features an adorable Basset Hound. 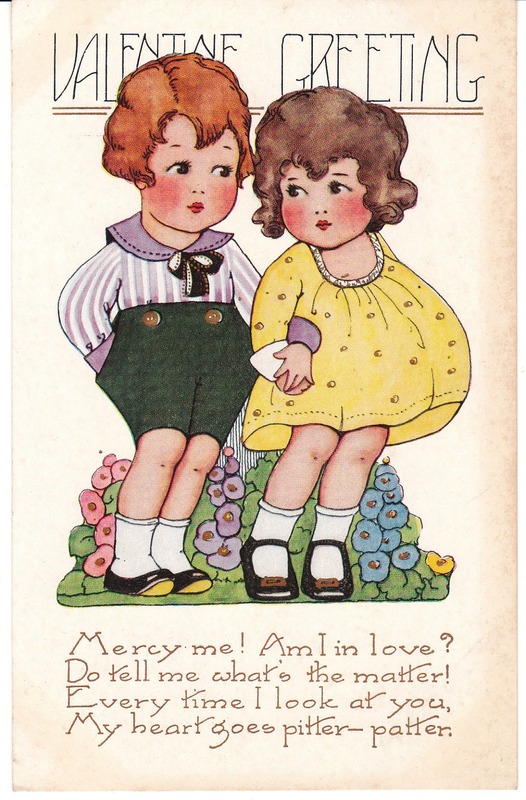 This vintage Valentine postcard is Whitney Made, and features a little boy and girl holding hands. 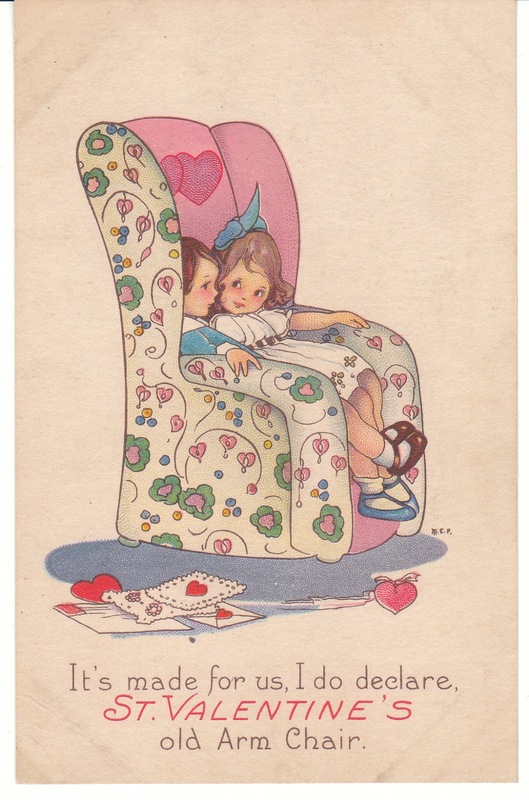 This vintage Valentine postcard shows a sweet little boy and girl sitting together in an arm chair. 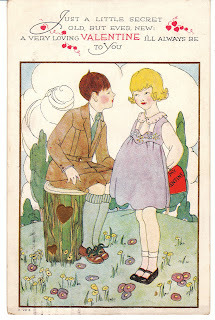 A boy and girl flirt shyly on this 1920's vintage Valentine postcard. This 1908 vintage Valentine postcard features two cherubs and a big red heart. A cute little girl stands in front of a bank on this vintage Valentine. 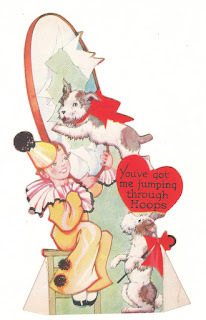 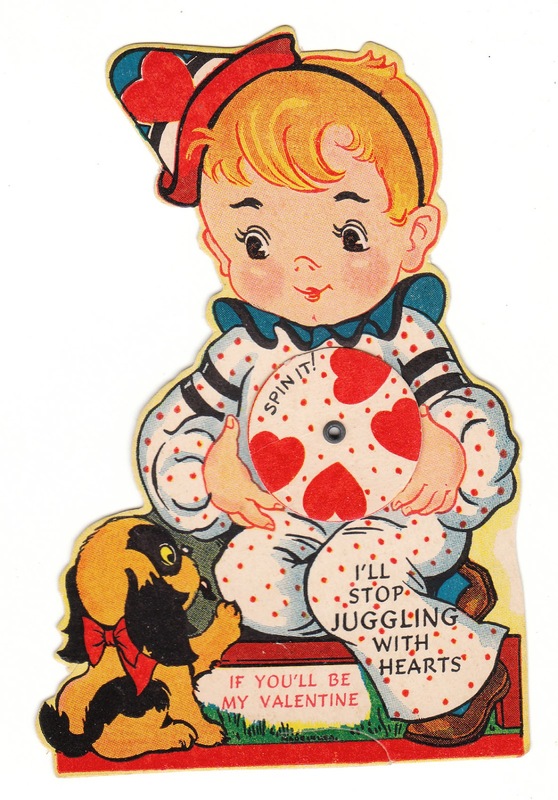 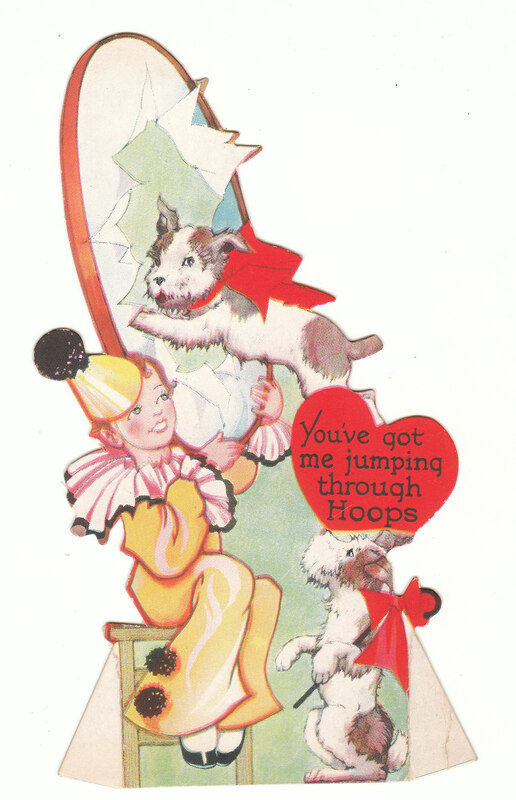 A child dressed as a clown in a circus plays with two Jack Russell Terrier dogs on this vintage Valentine. A little boy in a clown costume juggles a ball on this mechanical vintage Valentine. 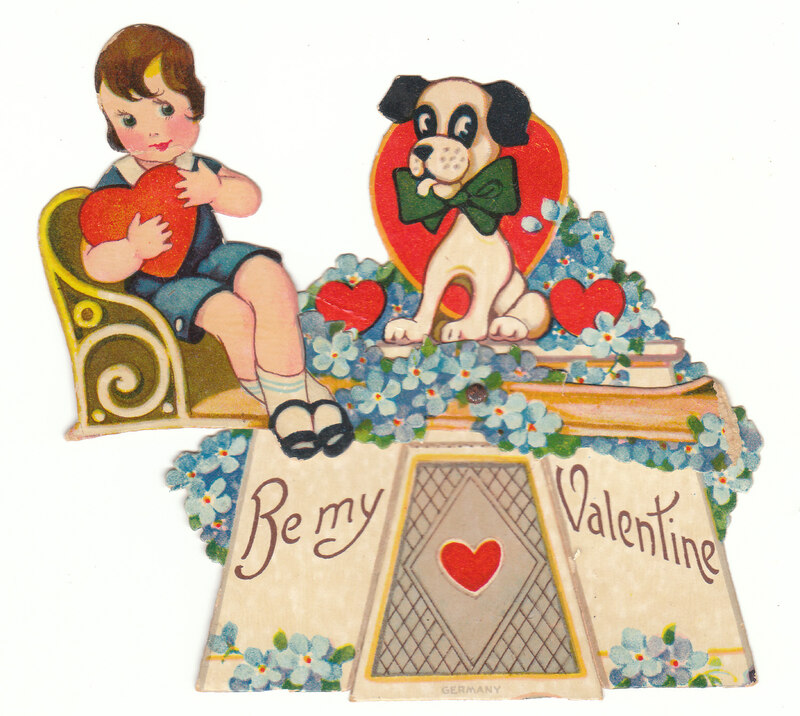 A little girl rides a see saw with her dog on this mechanical 1920's vintage Valentine. 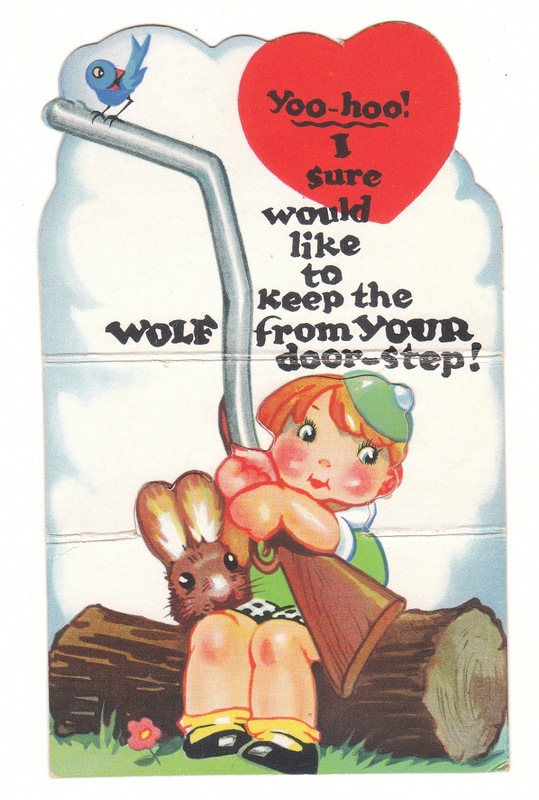 A little boy wants to protect his love from wolves on this Valentine - 1920's vintage. This 1950's vintage Valentine features a little boy bowling. A shoeshine boy polishes a girl's shoes on this 1950's vintage Valentine by A-Meri-Card. 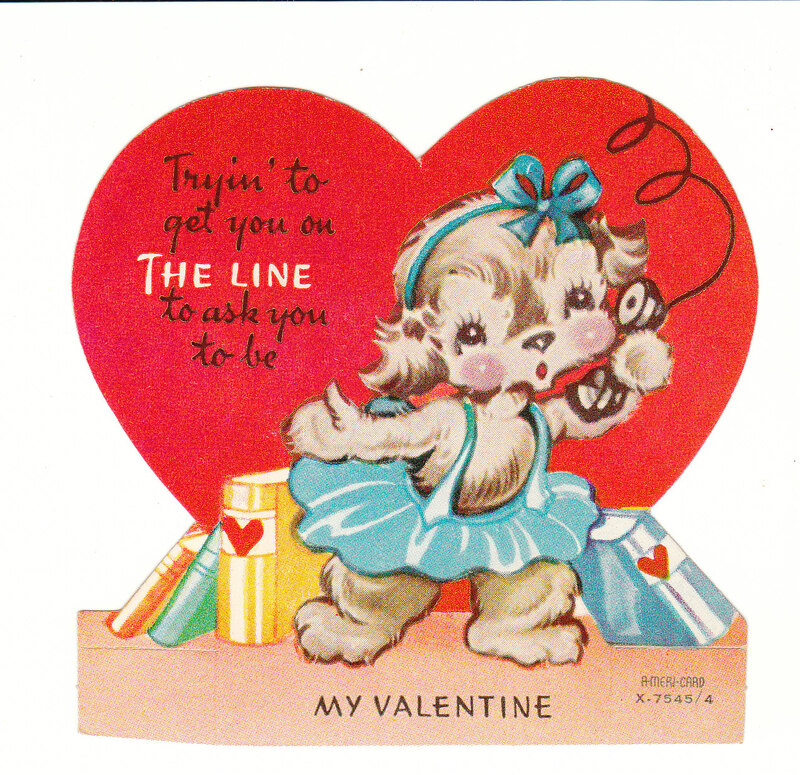 An adorable dressed girl terrier dog talks on the phone on this 1950's A-Meri-Card vintage Valentine. 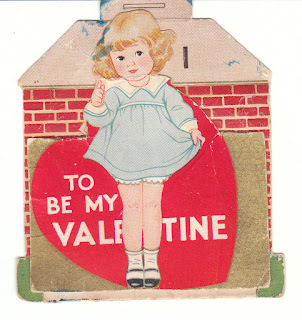 A sweet little girl stands under a pink umbrella on this vintage Valentine. 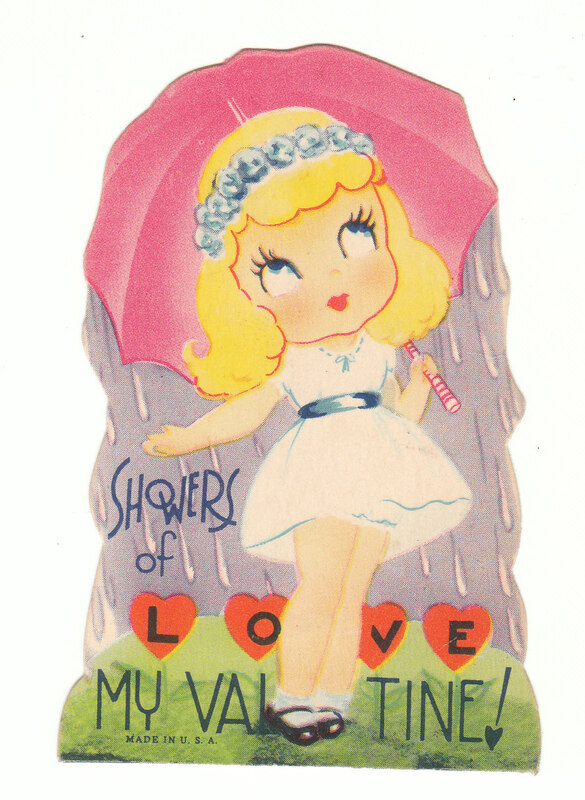 "Showers of Love!" 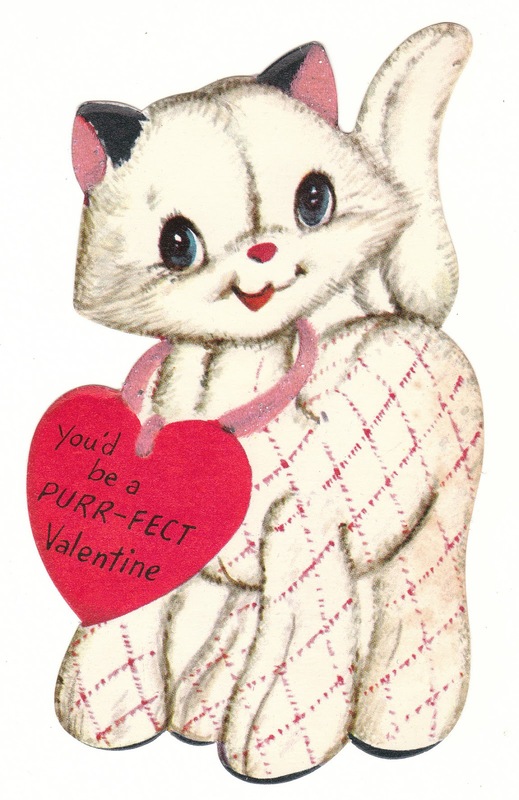 A little stuffed toy cat is decorated with flocking and glitter on this vintage Valentine. More cuteness waits at Birdhouse Books - I hope you'll stop by!